The Hygge Cocoon Cardigan in fancy oversize fit will be a perfect addition to your autumn outfit and cozy cover for fall chill. Although made in only two sizes, they are designed to fit pretty much all adult figures medium and plus. The pattern is very easy, so it can also be recommended for beginners. In fact it can be your very first handmade sweater! For more free designs every day follow us on Facebook. Share your ideas and your work on our Facebook group! 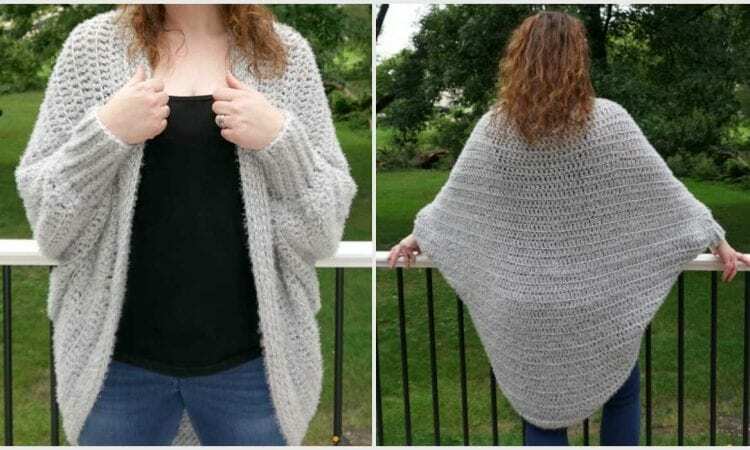 Visit pattern site of Hygge Cotton Cardigan.